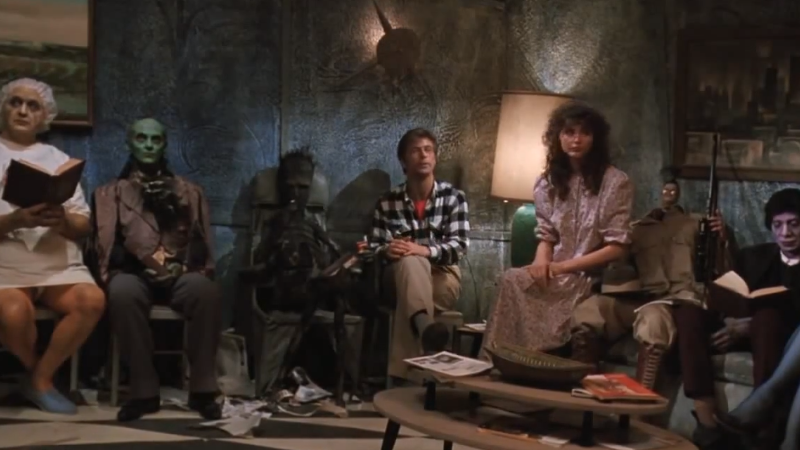 The dreaded Beetlejuice waiting room. For years, there’s been talk of a Beetlejuice 2—the progress on which has only ever ebbed when, every once in a while, someone says that it’s still happening. That should give you an indicator that it’s probably not happening any time soon, but even more updates seem to confirm that, for now, it’s a total non-starter. But is Beetlejuice 2 going to happen? And if that wasn’t grim enough, a Warner representative put another nail in the coffin, confirming to USA Today “the project isn’t in active development.” Sorry, Winona—looks like the hopes of revisiting the spooktacular classic any time soon are pretty much null and void. See you all in a few more years for some more Beetlejuice 2 rumors, I guess! Michael Keaton would make Beetlejuice 2 in a "heartbeat"
Warner Bros. Making Beetlejuice 2 with the Pride and Prejudice and Zombies author? Wynona Ryder returning to Beetlejuice 2 -- OMG think of the hats!